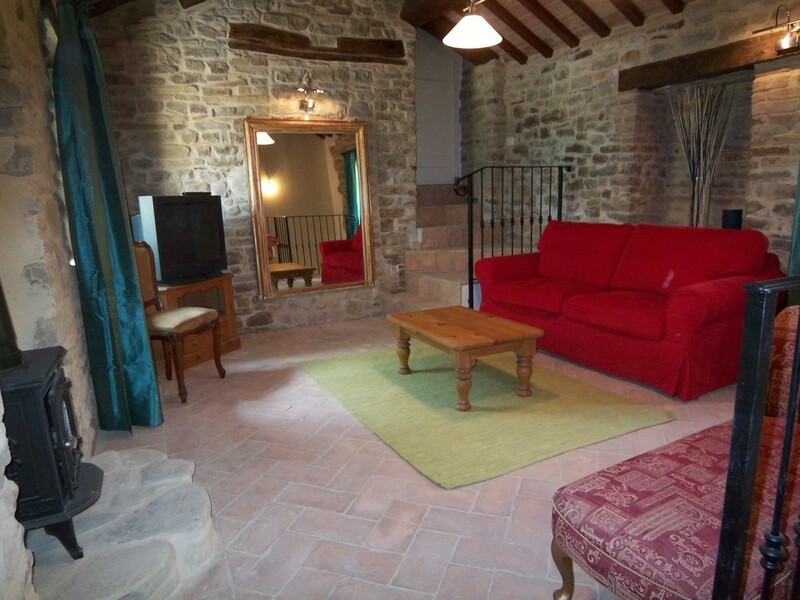 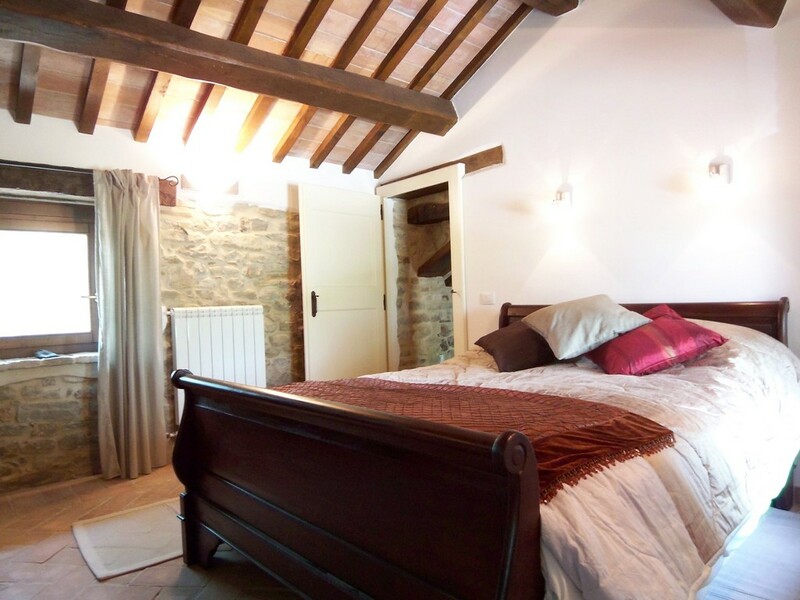 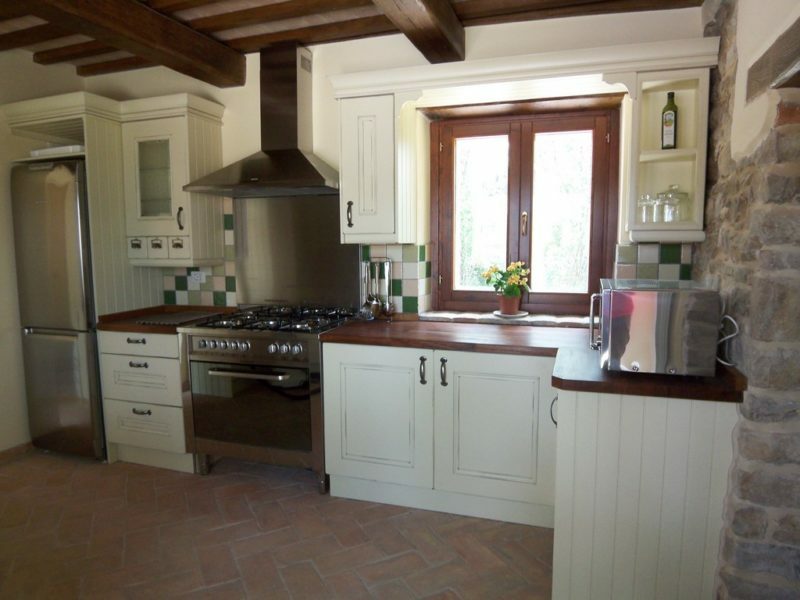 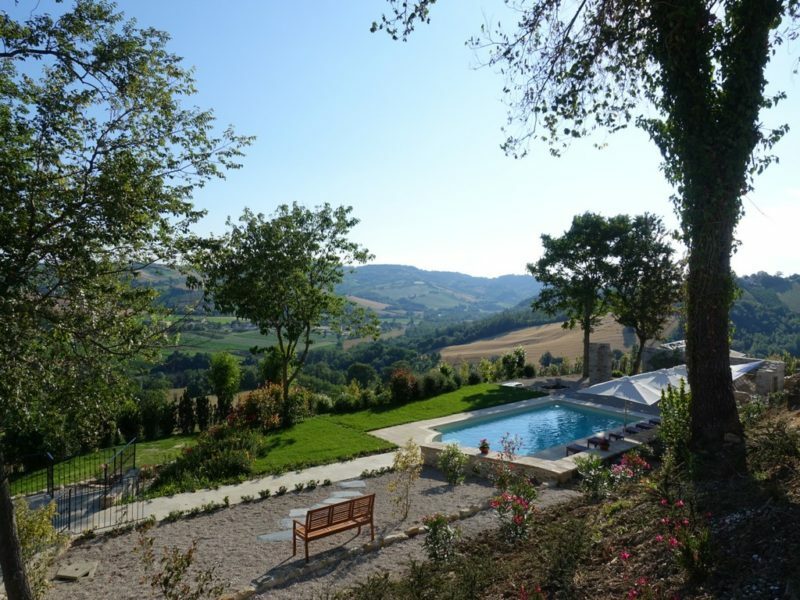 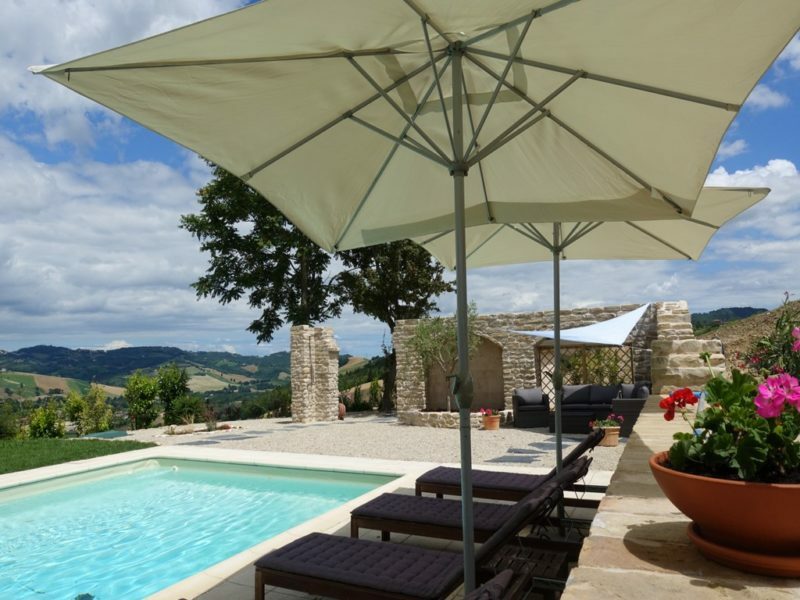 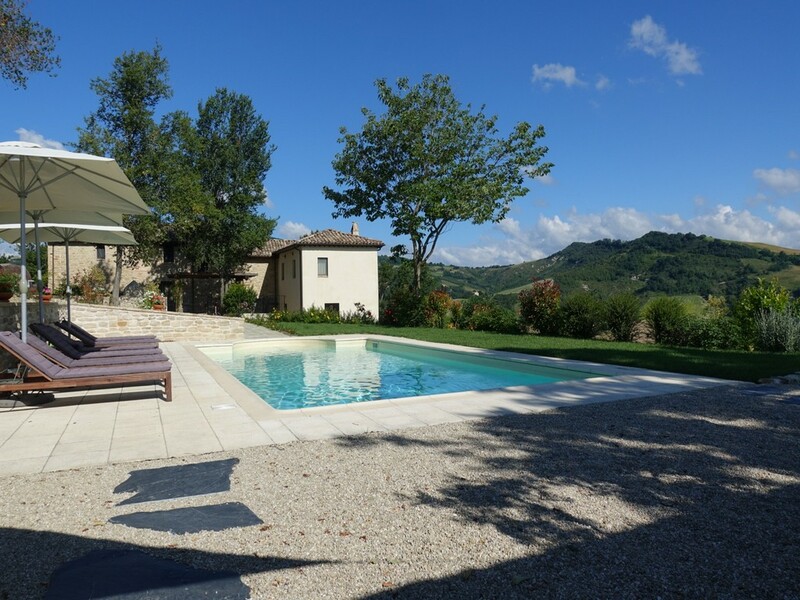 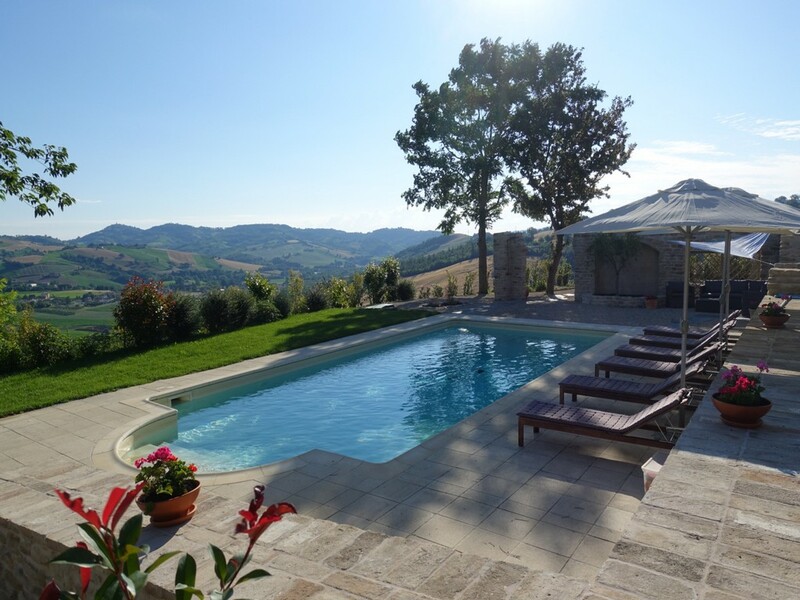 Recently restored 4 bedroom Farmhouse with pool and beautiful views for sale in Marche. 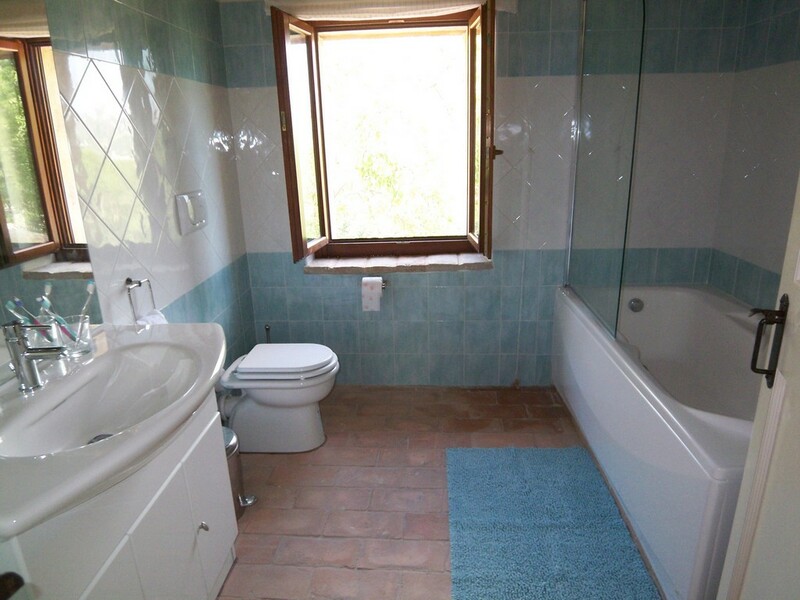 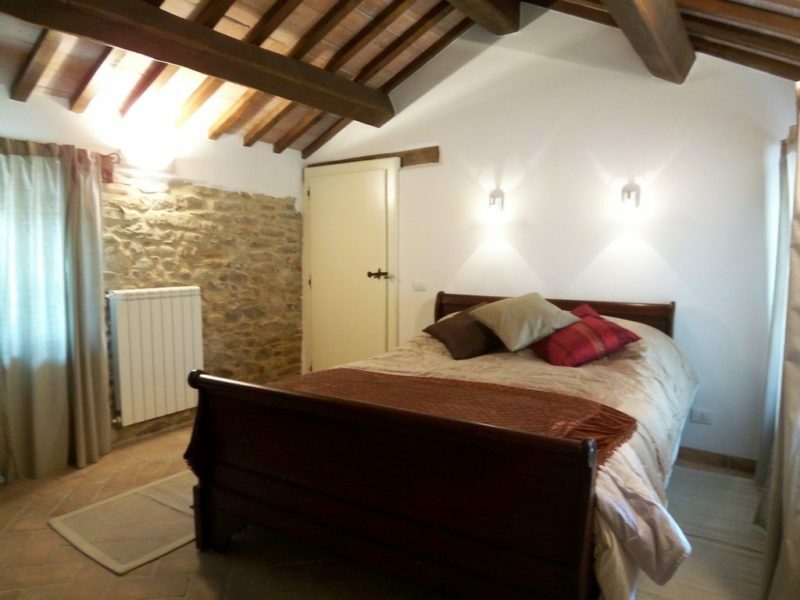 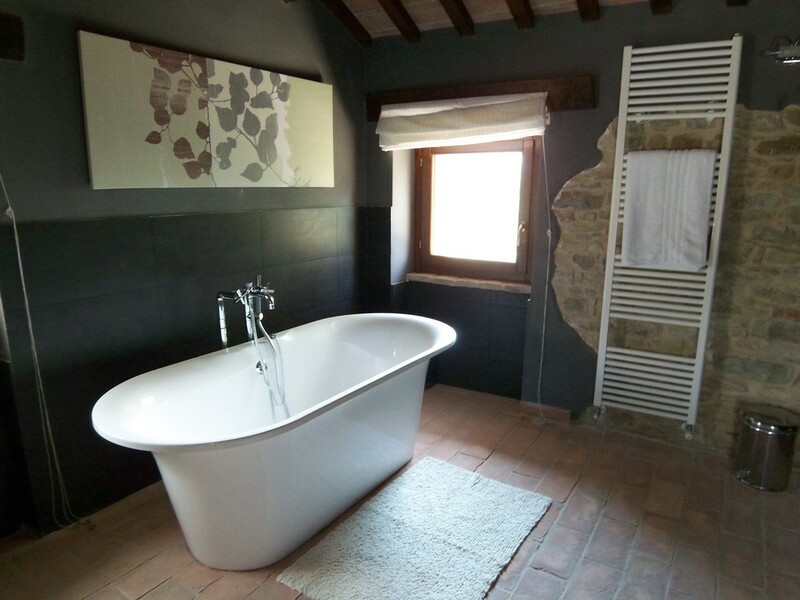 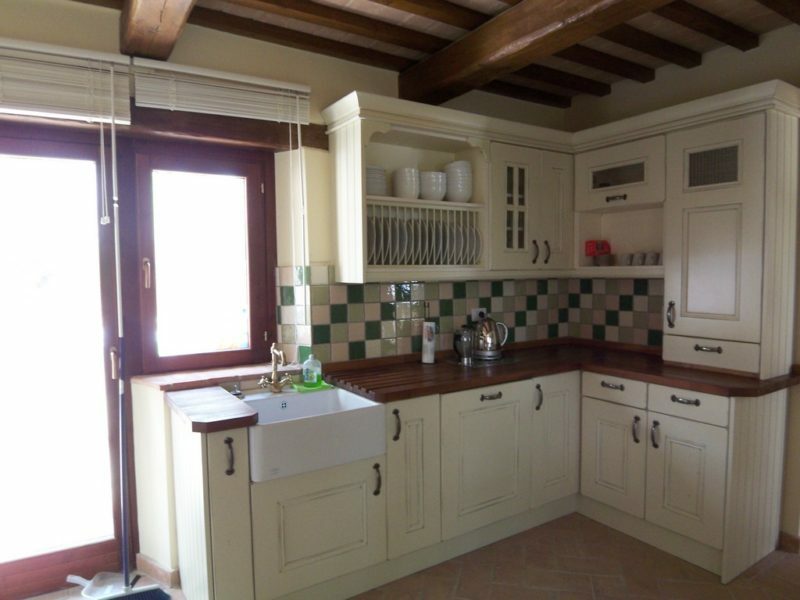 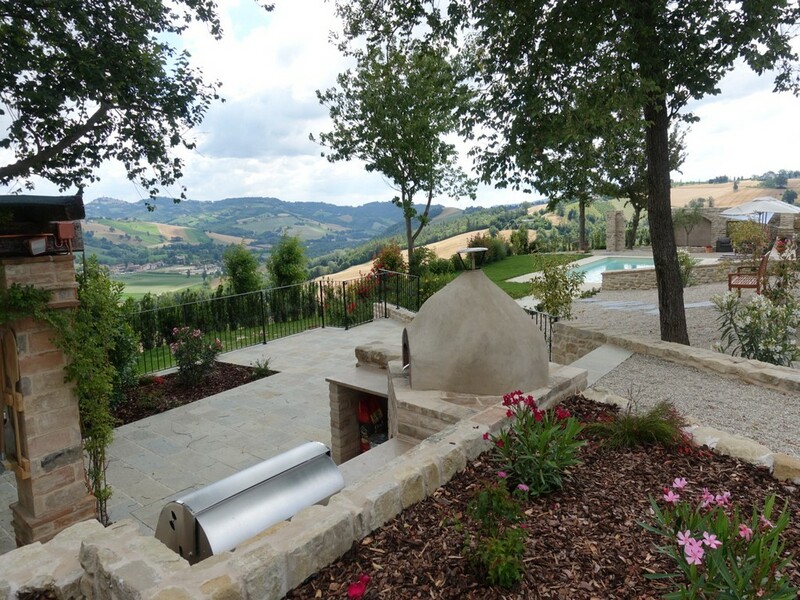 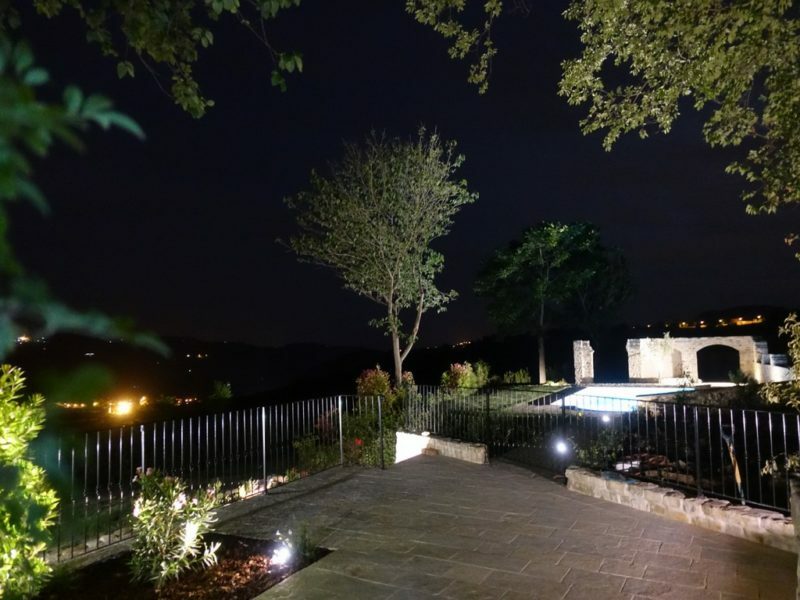 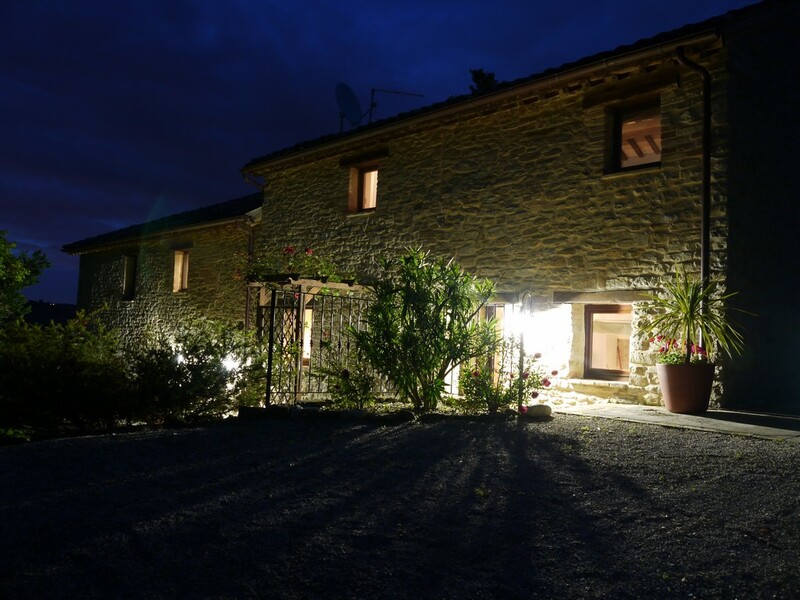 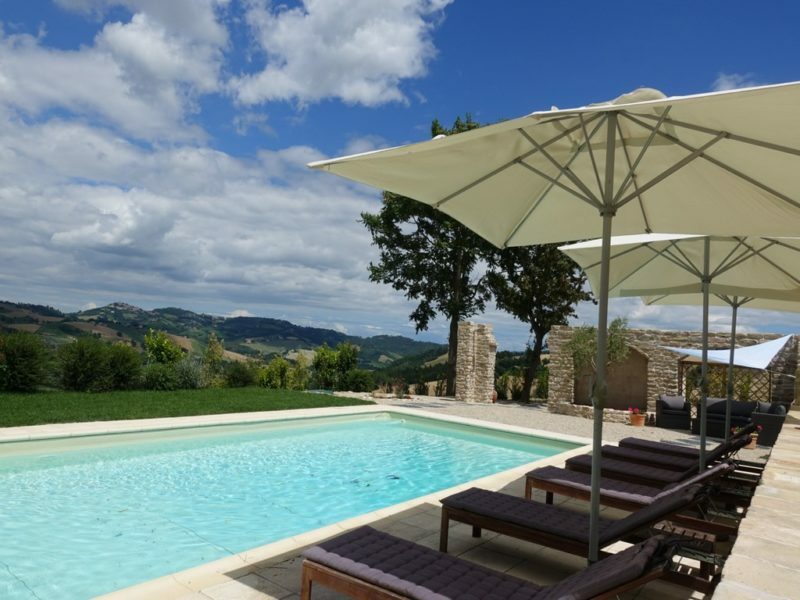 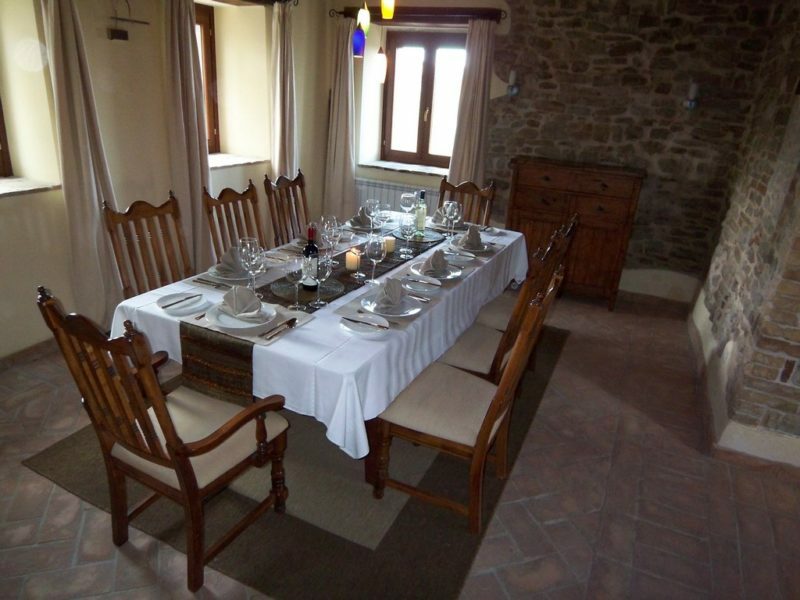 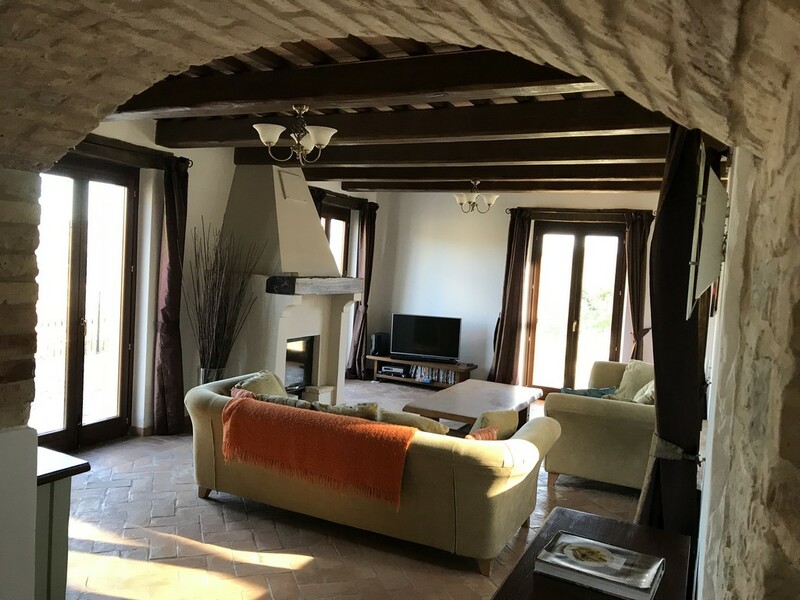 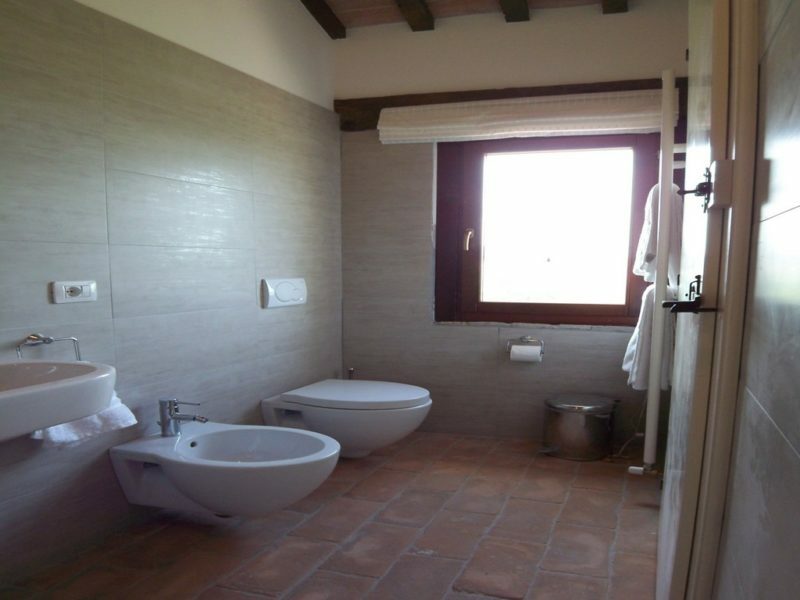 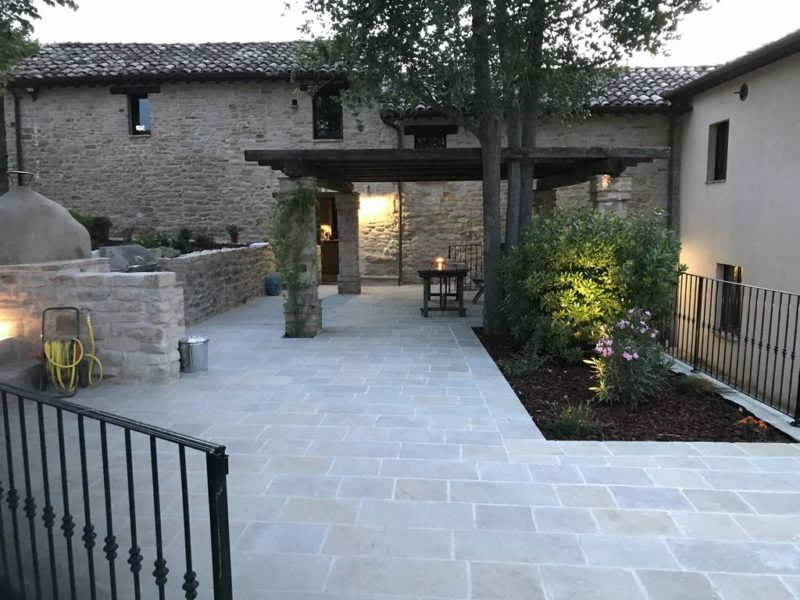 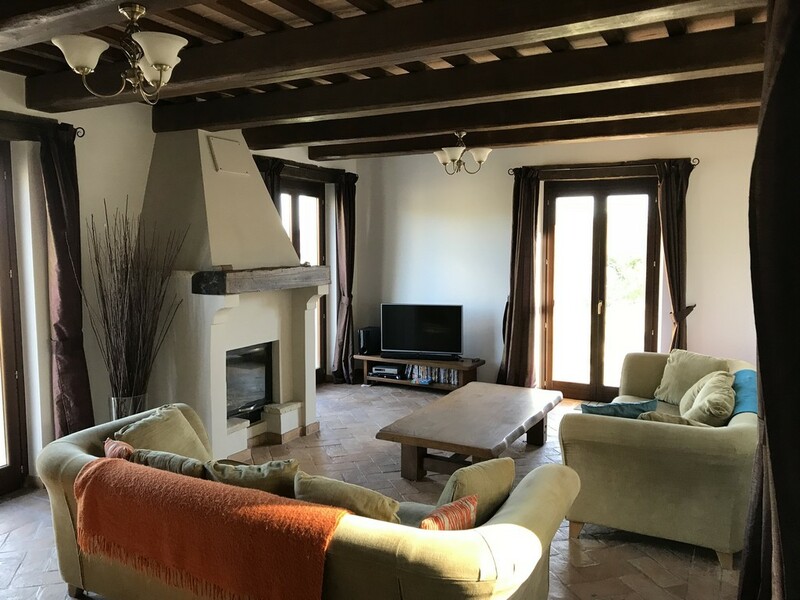 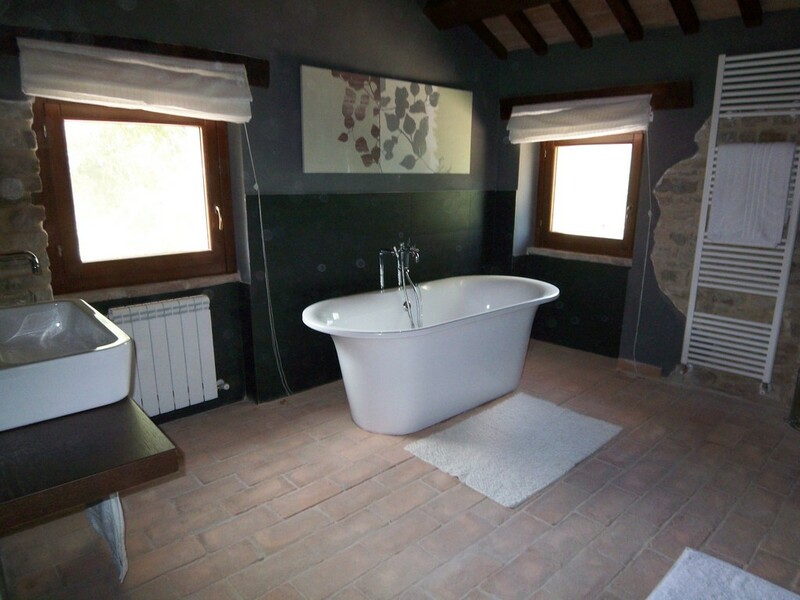 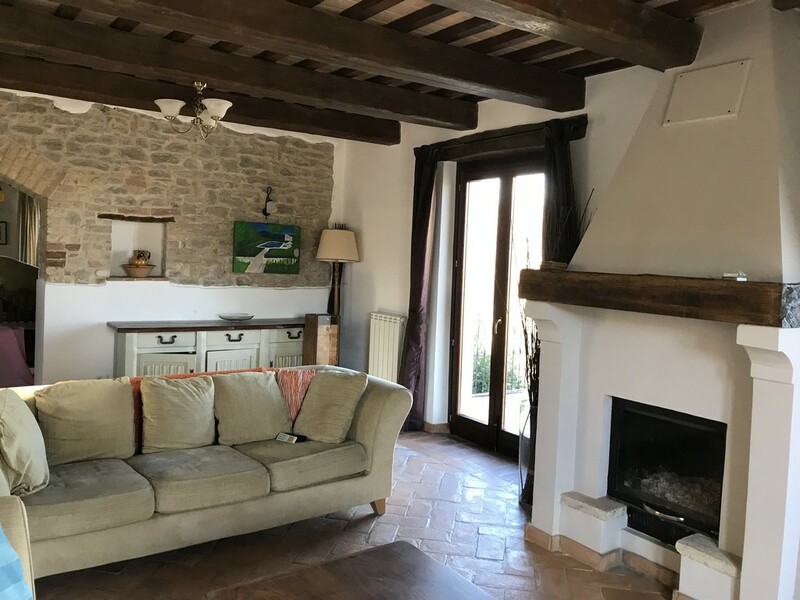 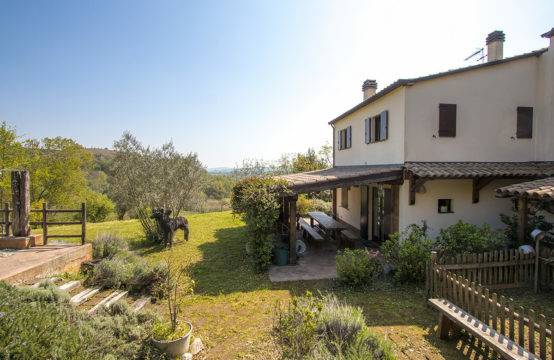 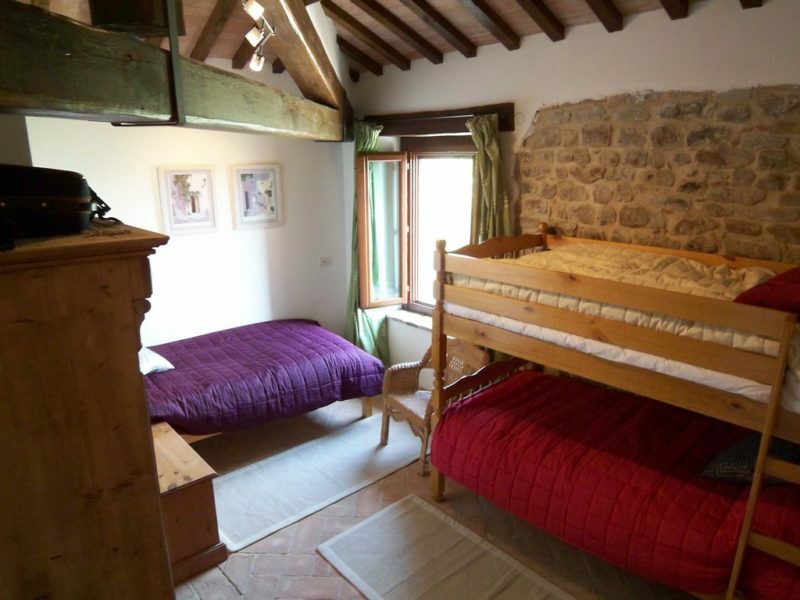 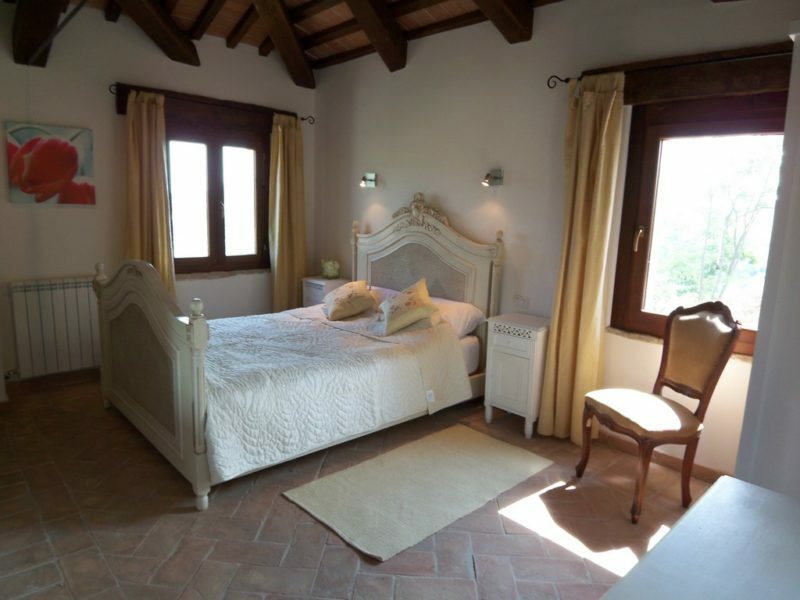 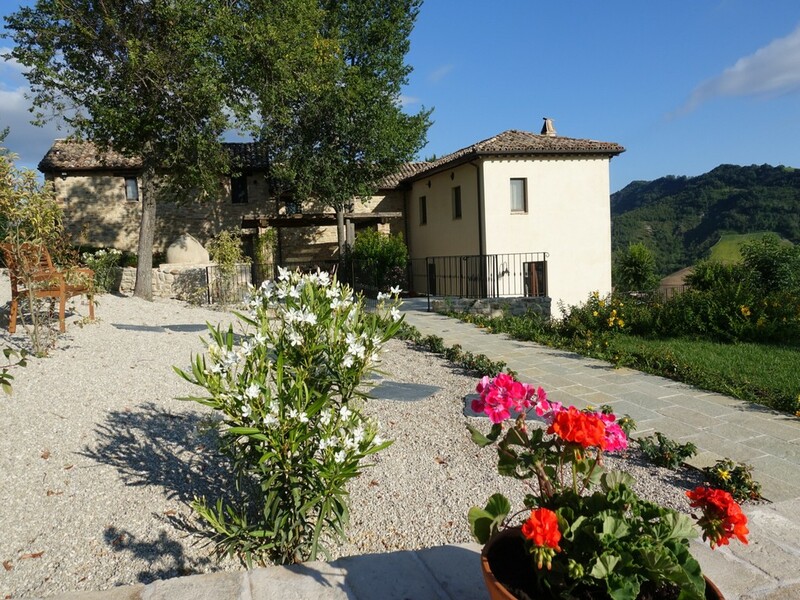 This house is in the Marche countryside a few minutes drive from the hilltop village of Force and 25 minutes from the provincial Capital of Ascoli Piceno. 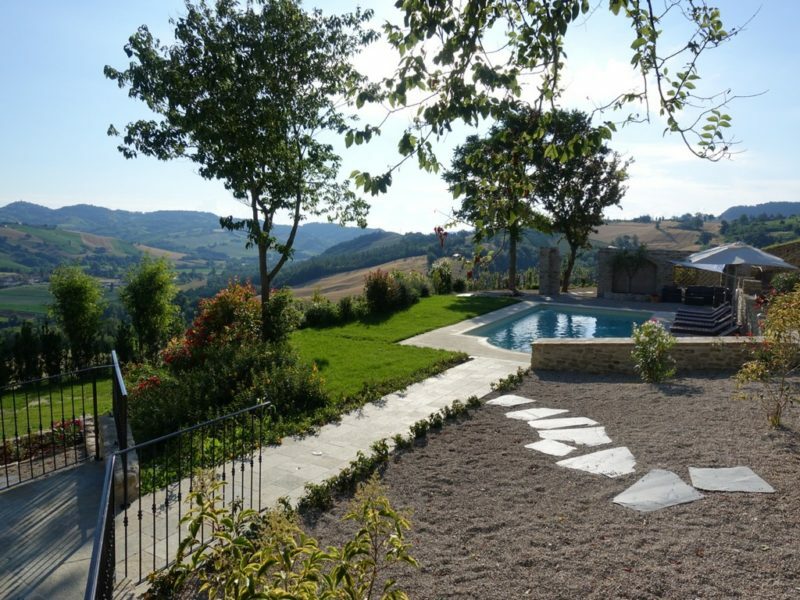 The seaside and motorway exit at Pedaso are half an hour away and the airports of Ancona and Pescara about an hour and a half. 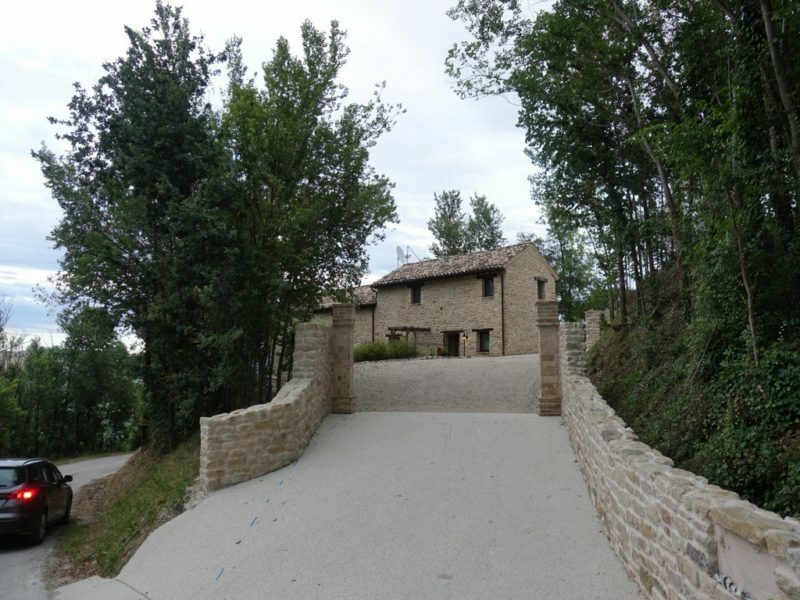 Access to the property is from a minor country road in tarmac. 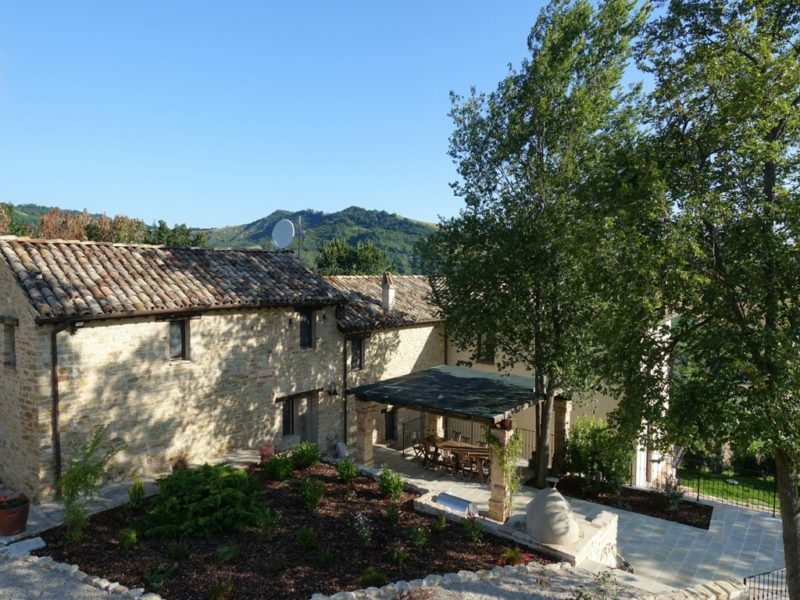 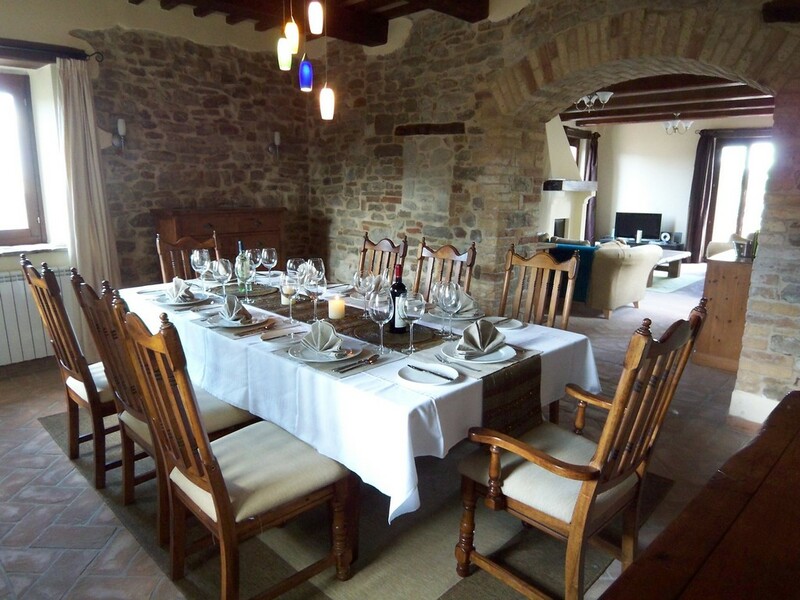 This late 19th Century stone farmhouse has been thoroughly and thoughtfully restored both inside and out. 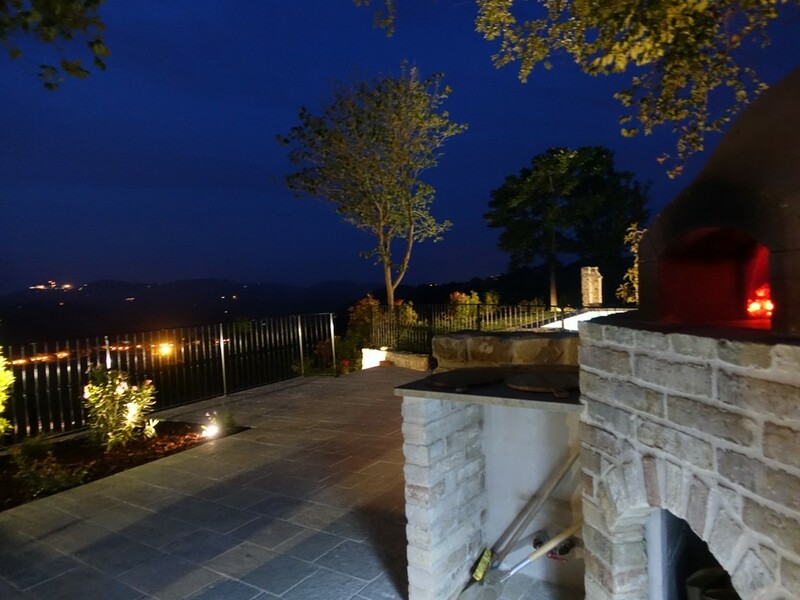 Access is easy, the house and garden are very comfortable and designed to take full advantage of the views. 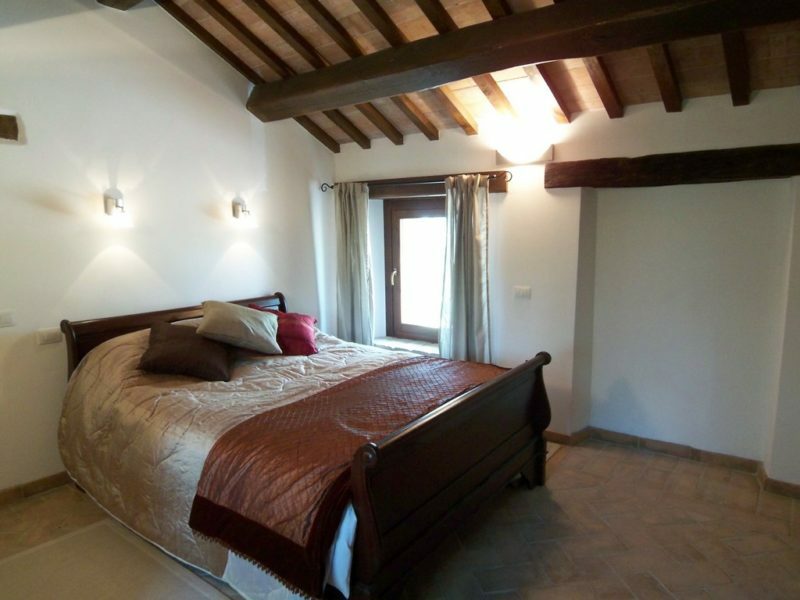 First floor – 2 master suites, 2 double bedrooms, a bathroom and a sitting room. 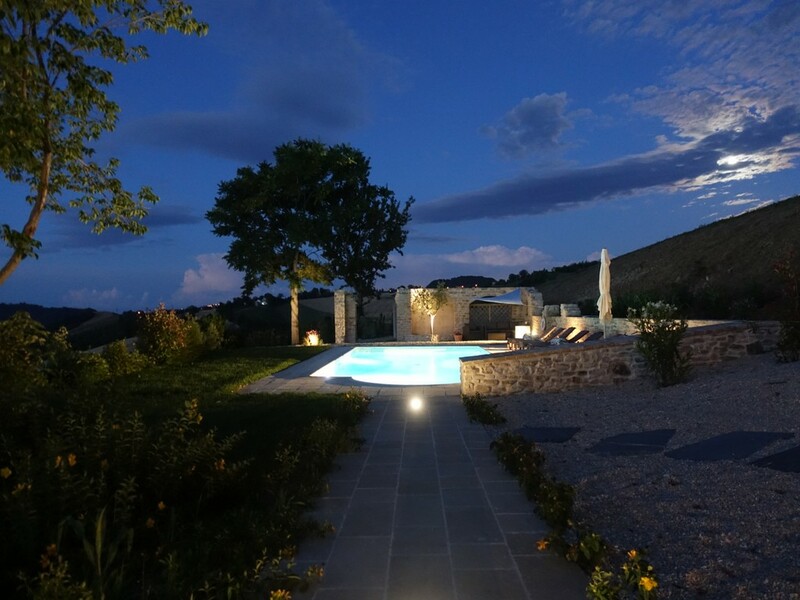 The well maintained garden, with its many terraces and solar heated pool, is a place to relax and enjoy life out of doors at any time of day. 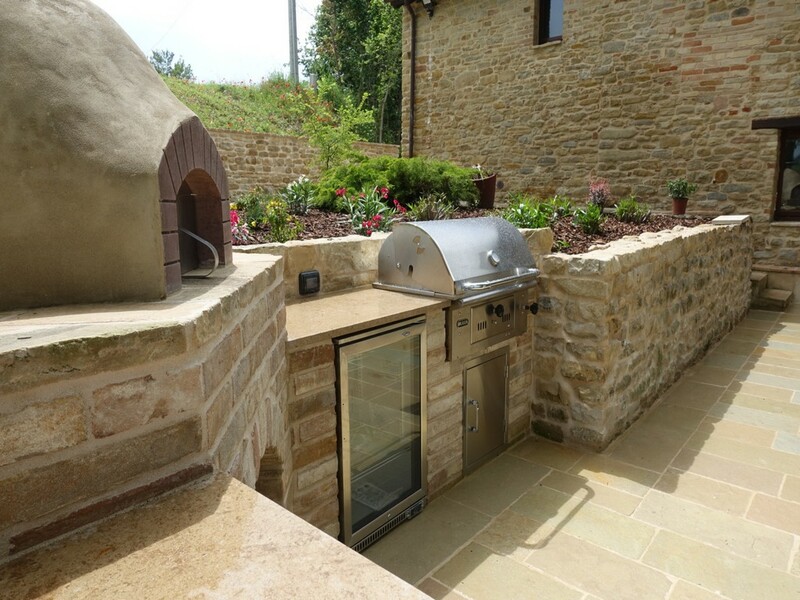 Materials throughout are natural and high quality.